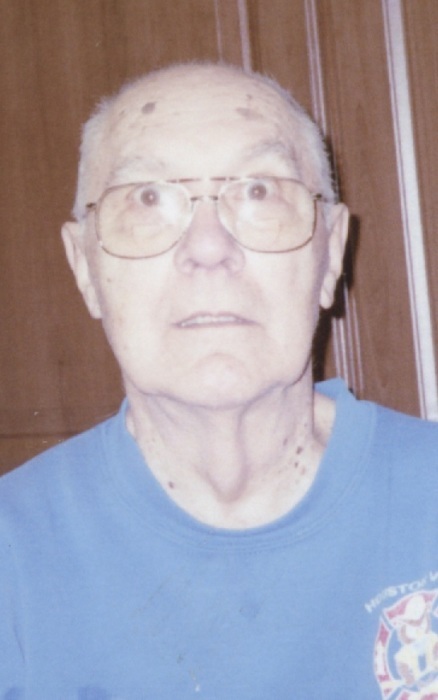 Obituary for Donald L. Gasmire | McIlvaine-Speakman Funeral Home LTD.
Donald L. Gasmire, 86, of Houston, died Tuesday, July 3, 2018 in the Canonsburg Hospital. He was born August 3, 1931 in Wellsburg, WV, a son of Harold and Alice Tenant Gasmire. Mr. Gasmire was a graduate of Wellsburg High School. Following high school, Don served with the US Navy in the Submarine Service and was a veteran of the Korean War. He retired from Bell of Pennsylvania where he had worked as a building manager for many years. Mr. Gasmire was a Life Member of the American Legion Post #902 in Houston, belonged to the Houston Volunteer Fire Department and had served two terms on Houston Borough Council. On July 31, 1954, he married Wilma Chadwick who survives. Also surviving are five children, Nancy Saunders (Fred) of Joplin, MO, Kevin Gasmire and Donald Gasmire (Bernadette) both of Houston, Deborah Cooper (Terry) of Graysville and Jamie Leichty (Michael) of Eighty Four; six grandchildren, Michael Leichty (Stephanie), Matthew Leichty, Timothy Gasmire (Ashley), Amanda Harris (Luke), Drew Findley (Vanessa) and Jessica Martin (Mark); 10 great grandchildren; a sister, Barbara Markle of El Paso, TX; and several nieces and nephews. A brother, Thomas Gasmire is deceased. Friends will be received 2 to 4 and 6 to 8 Sunday, in the McIlvaine-Speakman Funeral Home Ltd., Robert K. McIlvaine, Owner/Supervisor, 27 Cherry Ave., Houston, PA 15342, where services will be held at 11:00 a.m., Monday, July 9, 2018. Interment will follow in Forest Lawn Gardens, McMurray.